I read this slim little novel the morning it was due back to the library. Clocking in at just over 250 pages (with big type & not too much text on the page), it was a delightful read over two cups of tea before my day got started. Brazilian author Beatriz Yagoda carries a suitcase into a tree one day and disappears. When her American translator Emma hears of her disappearance and heads to Brazil to help Beatriz's two children find their mother. Emma has visited Beatriz previously and feels a strong connection to "her" author that is inexplicable to her boyfriend in America. Emma works with Beatriz's son and tries to work around Beatriz's daughter, experiencing parts of Brazilian society with which she had no prior contact. Novey's prose shines above all else. The lyrical language takes what could be a madcap adventure and turns it into a beautiful, reflective narrative. Unusual in my reading life, this was also striking prose that read fairly quickly. All of this culminates in a delightful, unique novel that I'm glad I picked up. I can't wait to see what Idra Novey writes next. Verdict: Affirmed, for readers looking for something fun & a bit different. 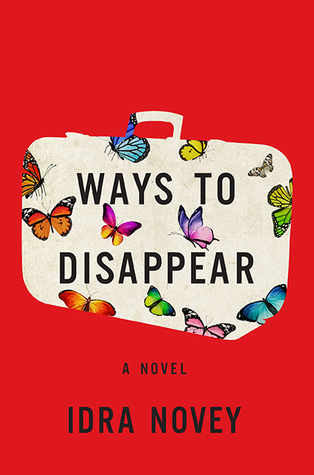 "Ways to Disappear" by Idra Novey, published February 9, 2016 by Little, Brown and Company.